HTG Supply carries only top quality Grow Tents, with non-gassing construction. 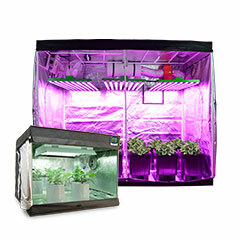 We offer grow tent kits that come with the grow lights you need at unbeatable prices! 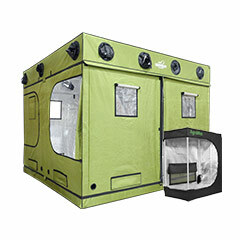 A top quality Grow Tent allows you to create a perfectly controlled garden area, a micro-environment Grow Room / Grow Cabinet where you can precisely control temperature and humidity levels and “photoperiod” lighting…These grow tents can be made virtually air tight to allow use of CO2 supplementation, and to keep out pests. 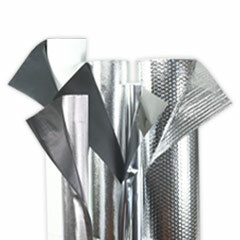 HTG Supply also offers the best indoor growing reflective films at the lowest prices. Looking for a top quality Reflective Mylar Rolls, or Black and White poly? HTG Supply has a huge selection of grow room reflective films for every type of indoor gardener, from beginner to hobby to professional growers. HTG Supply reflective films have many uses for the indoor gardener including redirecting wasted stray light back to the growing area and protection of grow room surfaces.